To secure a healthy and clear pond, different pond products and pond supplies can be used. You can purchase pond supplies when building your pond or you can apply them in an existing pond. For, a garden pond is more than just a container of water. It is a natural water biotope on a small scale. In the open air ponds are often much larger, biological processes are functioning properly, resulting in the water being naturally clear and healthy. In your own water garden you have to help nature a little to achieve a biological balance. Only then you can continue to enjoy clear water, healthy plants and satisfied fish. 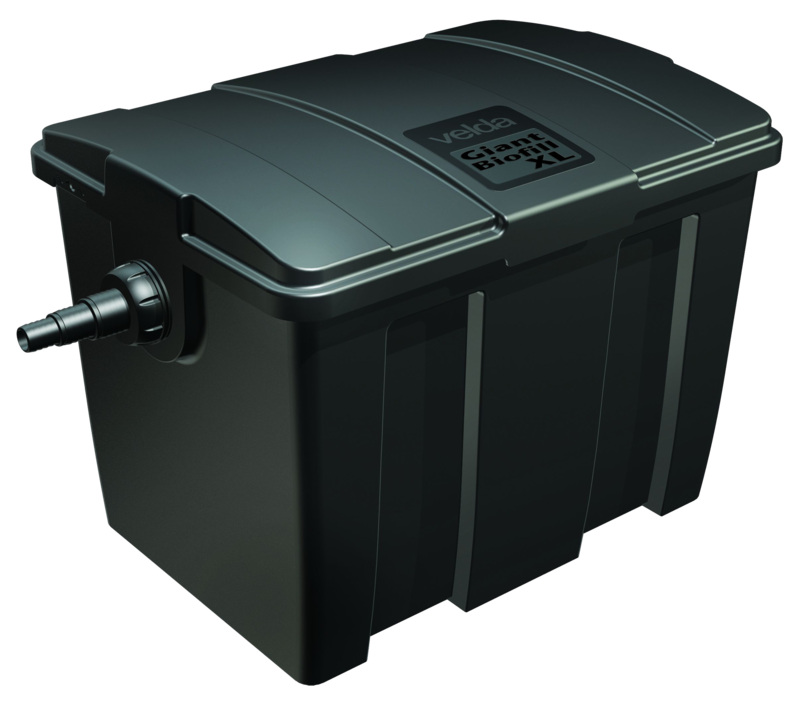 A healthy algae-free pond starts with a proper pond filter, connected to a pond pump. 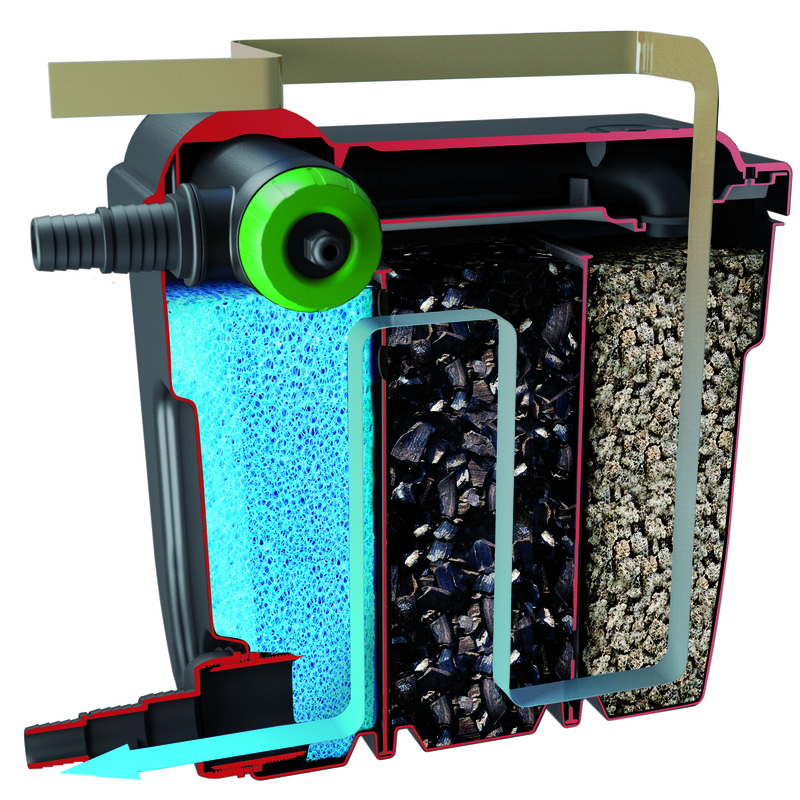 The filter material in the filter basin removes dirt particles and waste materials from the pond water. Besides, an air pump performs a number of useful functions. Aeration provides the water with oxygen, discharges harmful gases and prevents the pond from freezing. Once you have applied these supplies the installation of your pond is ready, so that it needs no looking after. However, indulging in your pond hobby, you want to know what the result of your efforts is. Testing the water quality a few times a year will give you an insight into biological functioning of your pond. In case of pond problems, such as algal growth or death of fish you can adjust by bringing water hardness and acidity to level. Being a first-time pond owner you think it nice and useful to follow the development of your pond by regularly measuring water values with a test kit. Pond supplies, which you, being a pond owner, can not dispense with, include a proper scoop net and telescopic pond scissors to cut back water plants. A pond protection net will render good service when leaves are falling from the trees, however, it will also keep stealing herons at a distance.